HARTRANS Notification 2018.Department of State Transport, Haryana has released a notification for the recruitment of Conductor and Heavy Vehicle Driver vacancies.Check the eligiblity and notification prior to apply for the positions. Matriculation passed candidates can apply for HR Roadways. Applicants must hold a conductor license. In between 21 to 42 years candidates can apply for the conductor post. Matriculation with Hindi or Sanskrit passed candidates can apply and applicants should not be a colour blind., must hold driving license with three years experience. Lower age limit for applicants is 21 years, upper age limit for applicants is 42 years. Through written test/ interview session candidates will be recruited. Mode of applying for HARTRANS Recruitment is through offline mode. 25th October 2018 is the last date to submit applications. http://hartrans.gov.in/ is the link to download application form and send to below given address. 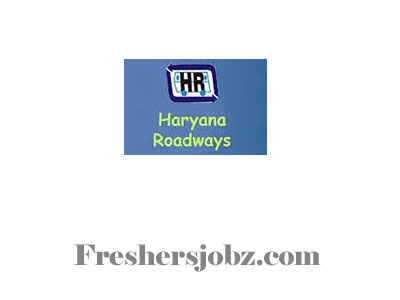 Office of General Manager, Haryana Roadways.